One of my favorite marketing books from the past decade is "Where’s Your Wow?” by Robyn Spizman and Rick Frishman. The book makes the case that everything we try to market needs something that makes it stand apart from the competition. We often call this a Unique Selling Proposition (USP), which is often expressed through a positioning statement. Without it, your product or service will blend into the background while your competition steps up in the mind of the customer. As you look through this list, you may be thinking of your own products and services. You may be tempted to pick out several items from the list and want to include them in your USP. Let me ask you a question: without looking at the list again, can you remember all 8 items? If you cannot, I have made my point for keeping your USP to a single feature that would ring true with your target market. Now try this. Here is a list of USPs from different brands. Can you name the brands from their USP? The answers are at the bottom of this article. The thing I want you to see is each of them is memorable because they stick with a single thought, but they also resonate in the mind of the customer. Making a connection with the customer is the most important part of a positioning statement. 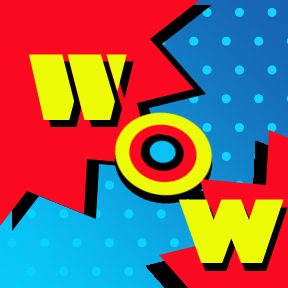 If your USP lacks the wow factor with your customers, you need a new USP. I had an insurance customer several years ago that was about to celebrate a significant company anniversary. Traditionally, insurance companies have touted their longevity and believed it equated to company strength and stability with the customer. I challenged that thought. For one, everyone else in insurance at the time was doing the same thing and they needed to stand out from the crowd – which looked like a bunch of stuffy old men sitting around a boardroom table. But beyond that, I said that I didn’t think old was equating to stability with their target market the way it might have in the past. Celebrate your anniversary internally, but give the customer a reason to think of doing business with you because you meet their needs. We settled on their stellar system of personal service, which was very important whenever you had a claim. What about you? How does your USP sound to the customer? I challenge you to ask them. You will know if your current USP is working if they can remember it. But you will also know it is effective when it is focused on the key point that would make them choose you over the competition. Here are the answers to the USP brand names.